Home > Embroidery Supplies & More > Commercial Embroidery 911: When Mistakes Happen! In commercial embroidery, it seems Murphy’s Law is always in effect—if something can go wrong, it probably will! 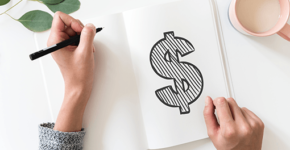 Using these solution to a few of the most common problems, you can keep production (and your business) running smoothly! It’s a simple fact. In commercial embroidery, mistakes will occur occasionally. Problems always seem to happen only at the worst times, like when you are working on a short deadline or with expensive garments. When dealing with errors during production, we are often agitated and fail to fix the problem correctly. Often, the best way to get back on track is only by taking a few simple steps. 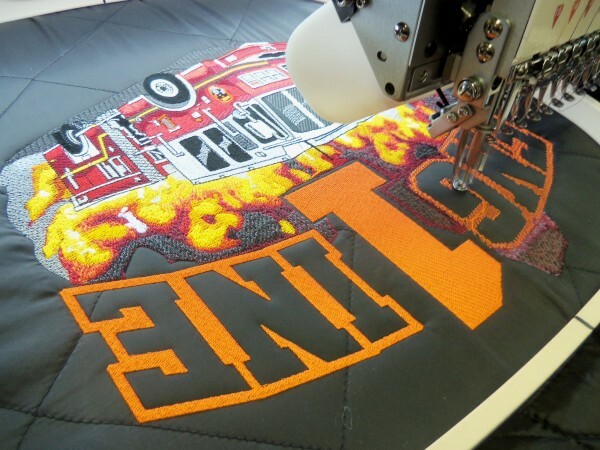 If faced with an emergency, like the wrong color or hole in a garment, before calling “commercial embroidery 911,” here are a few ways to fix some common problems you might encounter. Like in any emergency, the best approach is to stay calm. It may seem that disasters never happen when times are slow. Things always go wrong at the worst times, during rushed production with costly items. Sewing something improperly, the first instinct is to remove the stitches quickly and rush a repair. This increases the chances of making things worse, like tearing the fabric. The faster you go, more likely your repair will be inferior. The best strategy to solve commercial embroidery problems properly is to stay cool, calm and collected. It is not the time to freak out! Have a plan to address the problem and follow it systematically. You might not think so at the time, but staying calm will allow you to fix the problem faster and have production back up in less time. When discovering a mistake in commercial embroidery, the first thing to do is to keep the garment in the embroidery hoop. Resist the urge to take the garment out of the hoop and throw it away. When in the hoop, you have repair alternatives. Unhooping it will limit your options. Trying to reframe the item is almost impossible. Keeping it hooped, you can usually fix the problem and snap the hoop back into the machine. Realignment is easier, just a matter of finding the right stitch and restarting the device. Any frame movement should be small since the hoop can give you a reference point. Finding a problem that needs repair, you should indicate the place the problem occurred in the design. Write down the stitch count where the machine stopped. Sometimes you can record the position directly on the stabilizer of the garment. The problem often happened just before the stopping point, giving you a point of reference in the design. Once you finished repairing the item, you can go back to that point (or a point just before). Leaving the machine at the same point, waiting as you fix the problem, is not particularly helpful, especially when using multi-head machines like the SWF K-Series. Reset the design and start sewing the next piece, except if the repair is extremely easy. Wasting time could cost you several runs, while you spend a half-hour removing stitches. Every shop should have extra Durkee hoops in various sizes, so when a hoop is out of service for repairs you can continue production. 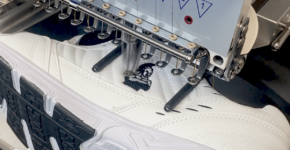 The majority of commercial embroidery repairs are removing stitches of parts sewn incorrectly. You will need to remove and replace faulty stitching. Try to pull out as few stitches as possible. Instead of removing a full design, like lettering, only remove the area that needs replacing. 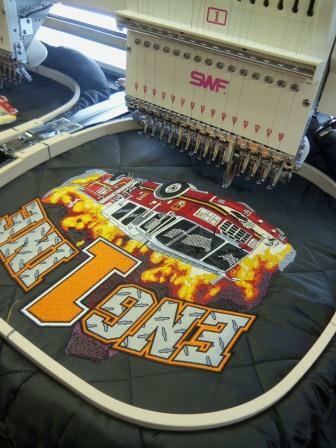 The secret to lining up with existing commercial embroidery is to reference an earlier section of the design. You can use the start point of the design. Instead of starting in the middle of the design, use a point in the pattern already sewn. Load the edited design, reach the stopping point and line it back up in the machine. Remove a portion of the design, instead of only the part-needing repair. A name misspelled by one letter, it is easier to align when pulling out letters before and after the error as opposed to a single letter and trying to align that one letter correctly. Many times, it is not possible to remove all the stitching you need to make a repair. That may not even be necessary since you could cover the mistake with the right stitching. This includes putting the wrong color in the design. Simply reverse your design to a point before the wrong color and sew in the correct color. In the case of re-stitching over a wrong color, be careful. The wrong color could seep through the new stitching. One quick fix is to put a piece of Solvy topping when sewing the correct color, acting as a barrier. This will keep the wrong color thread from bleeding through the new color. Use tearaway stabilizer to prevent bleeding through. If you use stabilizer, stop the machine at the point after sewing the correct color, remove the topping and continue the design. Using stitches to hide mistakes is a time-honored commercial embroidery technique. A fill pattern to hide a small mistake, either using a fill with embroidery thread color that is in the pattern, or a thread color matching the garment, can help the mistake blend in. Repairing holes in commercial embroidery can be an enormous challenge but is easy with the right technique. If the hole is in the path of the embroidery, cover the hole with stitching. Back up the design up to right before the hole occurred, take a small amount of cutaway stabilizer under the garment, sewing the area again. Stitches will mend the hole, strengthened by the cutaway stabilizer. 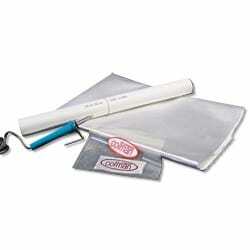 If the commercial embroidery cannot cover the hole, a genuine mend will do the trick. Create a fill area to cover the hole, sewing the embroidery on top. The amount of work involved depends on how much you want to recover the garment. A hole in an inexpensive T-shirt that does not mend clearly is better in the scrap pile. The Bottom Line? Keep Moving! The key to repairs is minimizing production delays. If the device is kept running, finishing repairs at the end of the run, interruptions are at a minimum. You might have to remove stitches during a run and pick up the pace in framing and trimming, but it is worth not disrupting your workflow. Repairing mistakes at the end of a job has some benefits. Not only can you manage production, but also you have time do things properly, with a clear head. Use the time to change the design, so repairs are even easier. 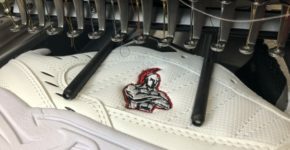 In commercial embroidery, most problems can be solved easily, especially if you have the right equipment, supplies and support. Colman and Company has everything you need to keep your business running smoothly! 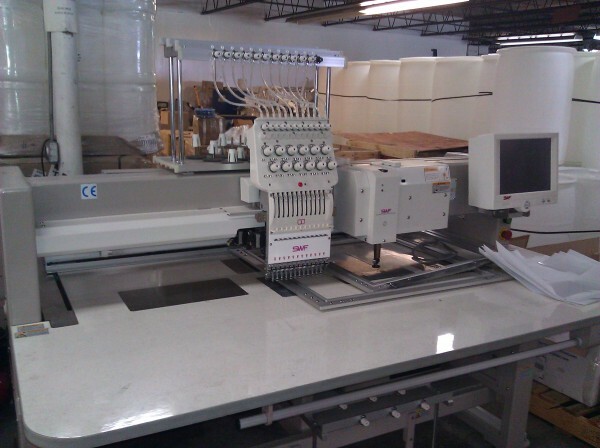 Contact the embroidery pros at ColmanAndCompany.com today, or call 800-891-1094.